Crazy Dog wishes to thank Steven Appelbaum, president of Animal Behavior College, a vocational school for professional dog trainers, for contributing to this blog post. Positive reinforcement is the best way to train a dog. But all those food rewards can add up and cause pups to gain excess weight during training. 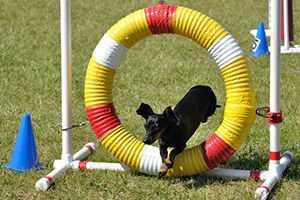 How can you keep dogs from packing on the pounds while still giving them the repetitive rewarding that successful training demands? Read on. 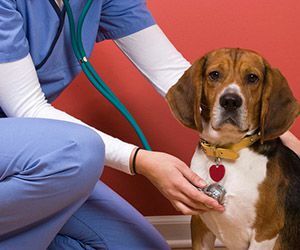 Canine nutritionists recommend that dogs get no more than 10% of their daily caloric intake from treats, with the other 90% coming from a well-balanced nutritional food. A look at a 30-pound dog's daily caloric requirements shows how easy it is to go over this 10% limit when repetitive rewarding is used in training. Unfortunately, our 30-pound pup can easily be given well over her entire 48-calorie treat allotment in just one training session. Too often, high-fat foods such as cheese are used as training reinforcers. A one-inch cube of cheese may contain 60-110 calories, depending on the type. 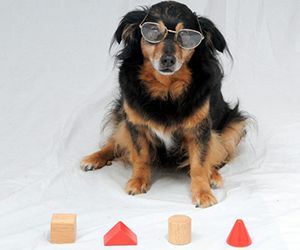 Even if this cube were to be cut into 8 very tiny pieces (not so easy to do), our example dog could be given only 6 treats a day at most --and a mere 3.5 treats if the highest-fat cheese were used-- without going over the 48-calorie limit. That's not going to go very far in teaching training commands! A new trend in professional dog training is choice training. As its name suggests, choice training empowers dogs to make their own choices during the training process. Canine students are given the freedom to control everything from whether to participate in a training exercise, to when the session should end. 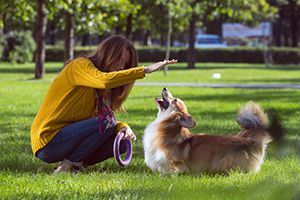 Many canine behaviorists favor extending this to other life activities, such as allowing the dog to choose whether to get his nails clipped or which path to take on a walk. Users of Bumble got a surprise when they logged onto the popular dating/networking app recently. Along with people seeking human contacts, they saw profiles of adorable puppies and dogs looking for safe, loving homes! These "available" furry companions were being featured on Bumble as part of the ASPCA's (American Society for the Prevention of Cruelty to Animals) national #FindYourFido campaign, which ran during October, Adopt A Shelter Dog Month. Shelters in Los Angeles, New York, Chicago, Atlanta and Austin participated in the Bumble promotion, which was focused on finding homes for adoptable dogs by gaining exposure for them through social media. Bumble isn't the only dating app that's been used to connect homeless dogs with their human soulmates. There are now a number of Tinder-style sites devoted solely to pairing two- and four-legged partners, like Bark Buddy, which invites users to "Find Fluffy Singles Near You" from its pool of 125,000 posted pups. Like human dating sites, pet matchmaking apps have gotten popular because they make it easy to view a large number of candidates in a short time, all from the palm of your hand. As with dating apps, you simply swipe right if interested, and left to pass. 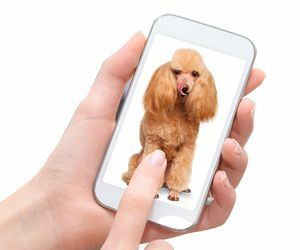 Most of these apps allow you to narrow your search for a furry friend by location, breed, age and gender. You can even break it down to a specific color and texture of coat, or whether the dog is good with children or cats on apps like Petfinder, the granddoggy of online pet pairing, which features some 315,000 adoptable pets from nearly 14,000 animal shelters and rescue groups. With the crisper air and bustle of activity, fall is an energizing time for humans. But autumn's arrival often has a less desirable effect on dogs. 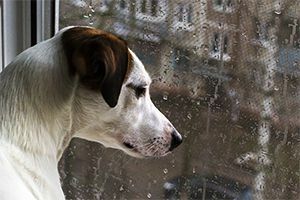 Pets may find themselves spending more time alone in an empty house as kids go back to school and family members resume social events, clubs and other activities that have paused for the summer. Some animal behaviorists say summer-to-fall is the most stressful seasonal transition for pets. Here's how you can help your dog get through this difficult period. Train your dog to associate your leaving with a good experience. 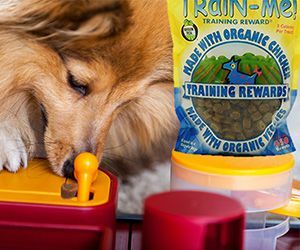 Each time he's left alone give him a special puzzle toy stuffed with tasty treats (we recommend Crazy Dog Organic Train-Me! Training Rewards). Extracting the treats from the toy will keep him mentally occupied and reward him with delicious goodies for his efforts. Remove the puzzle toy when you return, so he'll regard it as an extra-special indulgence he gets only when you go away. What could be more invigorating than riding a bike through the crisp autumn air with your "best friend" trotting by your side. Bicycling with your dog can be a fun and enriching experience for both of you. Your pup gets a high-energy workout that goes beyond daily walks, with no strenuous exercise required on your part. Being out in nature together and sharing a new activity will strengthen the bond between you. Good news -- teaching your dog to run alongside a bicycle may be easier than you think. Thinking about switching your dog to organic treats, but aren't sure: a) whether your pet would like them, or b) whether a product that claims to be "organic" truly is? You won't have to worry about either of these concerns with new Crazy Dog Organic Train-Me! Treats. They're irresistibly delicious to canines because their #1 ingredient is real meat - Organic Beef or Organic Chicken. 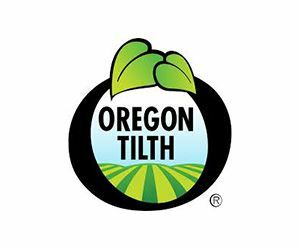 And because each package bears a Certified Organic seal from a leading third-party authority, Oregon Tilth, you can be assured they're genuinely organic.